Fed up of morning sickness? Try having some dry carbohydrates for breakfast instead. Include these crunchy bajra khakras in your breakfast. 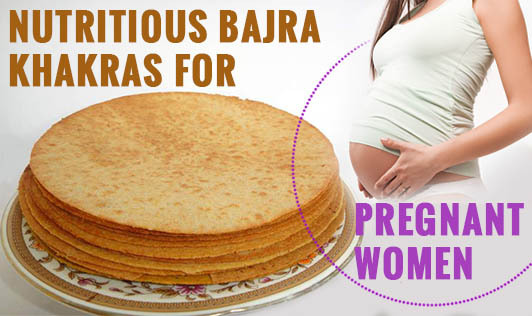 Rich in iron, these khakras will not only ease your morning sickness but will also improve your hemoglobin levels. • Mix bajra flour, wheat flour, til, flaxseeds, turmeric, salt, oil and ginger garlic& green chili paste together. Tip: Rich in folic acid green leafy vegetables are important during pregnancy. You can make the dough using hot palak or methi puree to increase your folic acid intake. Healthy can be tasty indeed, these khakras are one the examples for it. Happy Pregnancy!